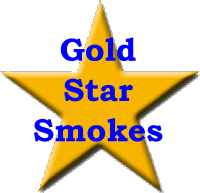 It’s been nine months since the StogieGuys.com team published a new list of Gold Star Smokes. As you might recall, this special designation celebrates cigars that we feel are worthy of strong recommendations. They don’t necessarily have to be five stogie-rated—just commendable smokes we turn to time and again. The La Musa Μελέτη Lancero is pretty limited (only 200 boxes are made available annually) but it is highly worth seeking out. It is a Nicaraguan puro with dark chocolate pre-light notes that transition to flavors of nougat, bread, espresso, and leather. It’s a bold, fuller-bodied smoke with plenty of complexity and excellent combustion qualities. When I have it on hand, I often reach for it as an after-dinner accompaniment to a cup of coffee. Winter is when I like to turn to corona-sized cigars, and one of my very favorites is the Tatuaje Noella Reserva. This Connecticut Broadleaf-wrapped Nicaraguan smoke is full of chocolate, coffee, and spice. I’ve smoked through multiple boxes and have always found them balanced and well-made. Plus it’s the type of cigar that goes equally well with a cup of coffee or your favorite spirit. It can be a bit hard to find but it’s certainly worth seeking out. Get over your aversion to big ring-gauge cigars and enjoy this moderately priced Nicaraguan puro. I awarded La Gloria Cubana Serie R Estelí No. 54 four stogies in January and continue to enjoy them. The six-inch smoke is consistent, strong, and satisfying with the pepper and spice you expect from Nicaraguan tobacco. Coming from General Cigar, the brick-and-mortar-only offering is easy to find and, at about $6.50, easy on the wallet. My selection would definitely be the 262 Paradigm Lancero. This is a classic Lancero size (7 x 38) with a beautiful Brazilian Mata Fina wrapper. You’ll love the full flavor and creaminess of the smoke off of these sticks, and the medium nicotine strength means they can be enjoyed at almost any time of day. The Paradigm Lancero is my current go-to smoke, and it also reached #1 in sales in the shop I work at, so it’s clearly doing something right. Whether you’re a lancero fan like myself, or you’ve never tried them before, this cigar should immediately go on your short list of stogies to try. Havent tried that LGC so I can't speak to that, but the rest are excellet recommedations.